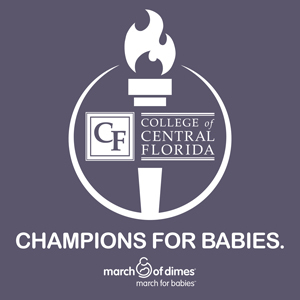 Only 22 Days… Until we walk to help babies at 8 a.m. Saturday, April 29 and the Marjorie Harris Carr Cross Florida Greenway, 4255 S.E. 58th Ave. The walk is 6 miles. 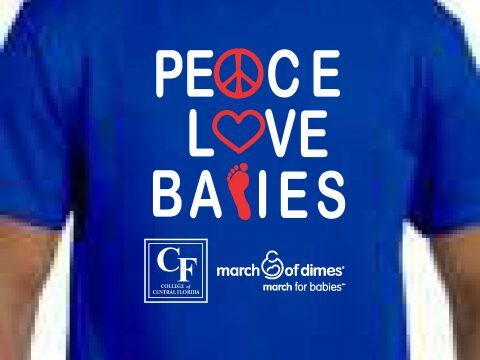 Sign up to join the CF team at https://www.marchforbabies.org/team/wwwpatriotsforpreemiesorg. T-shirts are available for a $20 donation! Contact Kathy Robbins at ext. 1660. Our annual Blue Jeans for Babies Fundraiser is BACK! Help raise money for our March of Dimes Campaign while being comfy in your jeans! All you have to do is buy a sticker or a button and wear it on Fridays along with your blue jeans to show your support for the March of Dimes.